You are here: Home / IT Professionals / Why did the RSA allow traffic to a known Malware site? Why did the RSA allow traffic to a known Malware site? 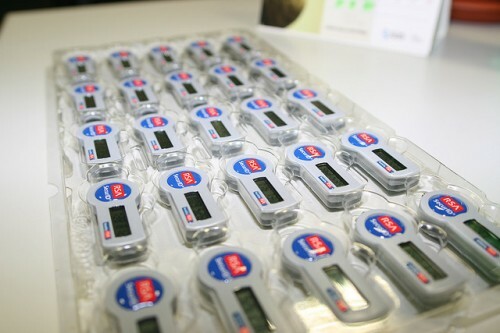 Samples of the ~40 million SecureID Tokens the RSA replaced as a result of the hack. I am frustrated, the information disclosed by F-Secure about how the RSA was hacked is appalling. No signature, nothing, nada. It had an Excel file attached 2011 Recruitment plan. They opened it. They got infected by a zero day flash exploit embedded in the Excel file. I can understand a company like the RSA needing access to the APNIC space, though most of us do not. Specifically though, why would they route traffic to a address/domain that is known to be used in espionage attacks? Since we already established that the user failed to identify a threat what about the other devices and mechanisms in the transaction that occurred between the computer that was infected? When the Poison Ivy payload asked the DNS system what IP address micensur.com had, the DNS servers at RSA promptly gave them the known threat’s IP address. It is possible and useful to add records for known malicious domains to resolve to something harmless such as loopback 127.0.0.1 (basically the payload would try to connect to local machine itself). Failed. Endpoint Security software can block access to known malware websites. Failed. One or more RSA Routers were touched in the process. Without a router a computer cannot communicate with systems outside of its own network. Routers can maintain black lists or null routes to avoid traffic coming from or going to known malicious sites. The router(s) in this case happily sent and received traffic from the known malicious host. Failed. Many companies use a proxy server or transparent proxy server to store copies of frequently accessed files to avoid them from having to be downloaded every time. A Proxy server can optionally be used to provide additional protection including domain based filtering. Since micensur.com was a known malware domain this could easily have been blocked by a proxy server. Failed. These are usually definition based devices that look for traffic that matches a known malicious definition. Such as traffic coming from or going to a known malicious website. Failed. Even many small companies have firewall hardware. Firewalls allow for much more complex rules about what kind of traffic can go where and even when. Firewalls are the ultimate traffic cops for networks. There are a number of ways that a properly configured firewall could have prevented this infection. Failed. Is it time to re-prioritize? With so many chances to block this from happening, how is it that a company like RSA, that is involved with security products is not better protecting themselves from threats? I’m sure they have made changes as a result but with a reputation for having things locked down, I find it excruciatingly curious that they allowed traffic to a known malicious site, don’t you? Is it time push information security higher up the priority list? Image credit br1dotcom, creative commons.